San Diego may not be the place for a white Christmas, but for travelers who want to get away from cold winter weather, there are plenty of Christmas things to do in San Diego which you can enjoy with not much more than a light sweater. Here are five of our favorite Christmas things to do in San Diego, America’s finest city. Holiday Wonderland at Petco Park is San Diego’s newest holiday celebration. 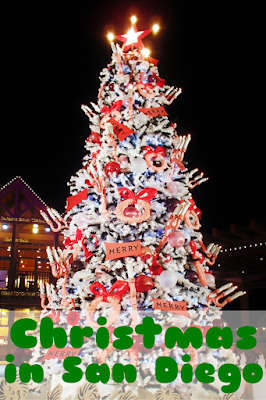 The inaugural Holiday Wonderland occurred in December 2014 and, as it was such a success, it is back for 2015. For 12 nights Petco Park, San Diego’s baseball stadium located in downtown San Diego, turns into a Christmas wonderland. This event is geared towards kids, but it can be fun for adults too. Last year, as soon as guests walked through the front gates they were transported to a winter wonderland complete with falling snow. The holiday trail led upstairs to Santa’s Workshop, then down to the field where there was snow tubing, a train, a reindeer corral, a maze, a carousel, a frozen fun zone, and more. For the adults, there was a pretty swanky looking cocktail lounge. On the way out was my favorite part, the holiday lighting displays. This year’s event will be even bigger with more colorful walk-through light displays, a Polar Express train, live reindeer, and more activities. Holiday Wonderland at Petco Park will be open Friday through Sunday for the first three weekends of December, starting December 4, and December 21-23. Tickets can be purchased online. Balboa Park December Nights is one of San Diego’s longest-running holiday events, celebrating its 38th consecutive year in 2015. It is also one of the free Christmas things to do in San Diego. For two nights at the beginning of December, participating museums offer free entrance in the evening and celebrators can watch musical and dance performances and enjoy food and holiday traditions from around the globe. This year a Children’s Interactive Area will be added which includes a giant mural which families can contribute to and which will be displayed in the park through the holiday season. This year Balboa Park December Nights will be held December 4-5. If the crowds of December Nights are too much, the holiday spirit is still in full force for the rest of the month in Balboa Park. The park remains decorated with the decorations put up for December Nights. Another popular Christmas tradition in Balboa Park is the performance of Dr. Seuss’ How the Grinch Stole Christmas which plays November through December at the Old Globe Theatre. Outside of the theater is one of my favorite Christmas trees in San Diego, the Grinch Christmas Tree, which was lit on November 15. Another free Christmas event in San Diego that is even older than Balboa Park December Nights is the San Diego Bay Parade of Lights. 2015 will celebrate the 44th year of this San Diego holiday tradition. For two nights of December, this year December 13 and 20, over 80 boats decorated in brilliant Christmas lights parade through San Diego Bay. There are many places along the bay to watch the Parade of Lights including Shelter Island, Harbor Island, the Embarcadero, Seaport Village, and the Coronado Ferry Landing. We scoped out a great spot at the end of the Coronado – Broadway Pier complete with a food truck selling hot chocolate and sweets. For more information about parade times and the parade map, visit the San Diego Bay Parade of Lights website. 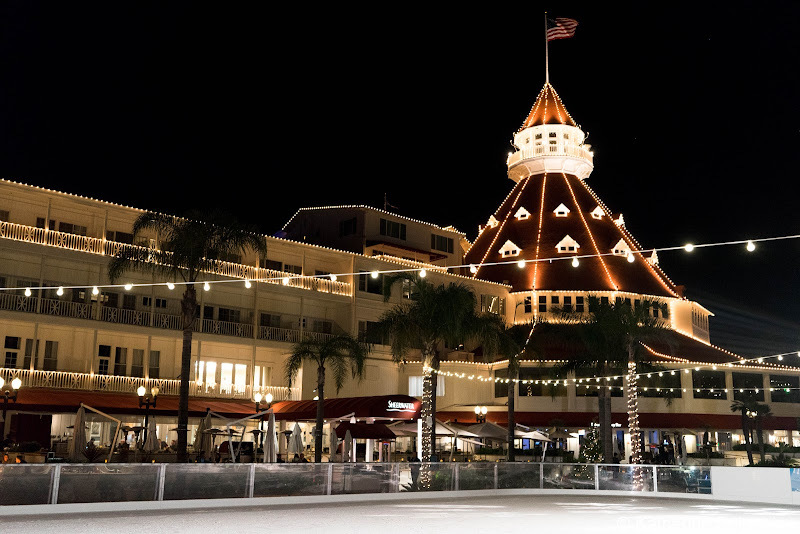 One of the most beautiful places to celebrate a Southern California Christmas is at San Diego’s iconic Hotel del Coronado. The Hotel del Coronado has been celebrating the holidays since 1888 and is the site of the first electrically-lit outdoor Christmas tree in America. For 11 years, the Hotel del Coronado has celebrated the holiday season with an outdoor ice rink by the sea. Skating by the Sea starts Thanksgiving Day and continues until one week after the New Year. 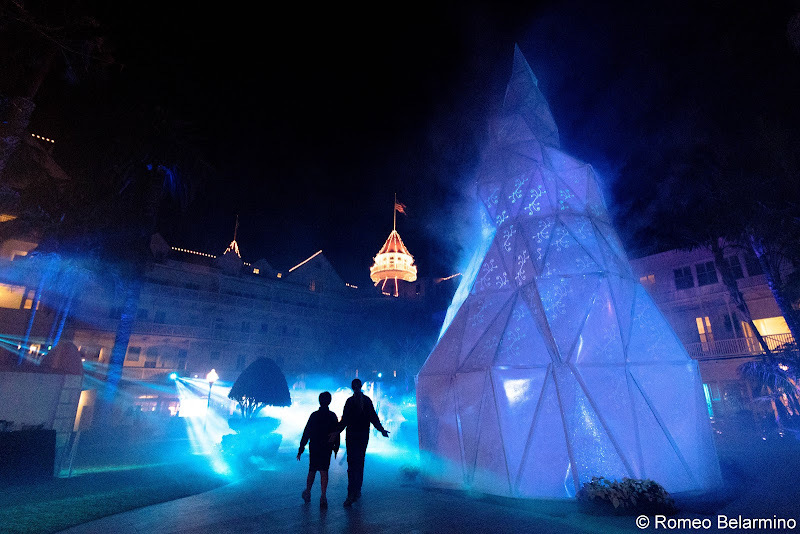 This year the Hotel del Coronado has added to their holiday lineup with DELights. The Garden Patio has been turned into a winter wonderland, a light show is projected on a 30-foot Christmas tree every half-hour, and holiday treats like gingerbread and mulled cider are available for purchase. For tickets visit the DELights website. Photo courtesy San Diego Zoo. The world famous San Diego Zoo gets even better during the Christmas season when the park becomes a wild wonderland of Christmas cheer. Every year the San Diego Zoo hosts Jungle Bells, a festive time of year when the zoo is covered in twinkle lights. 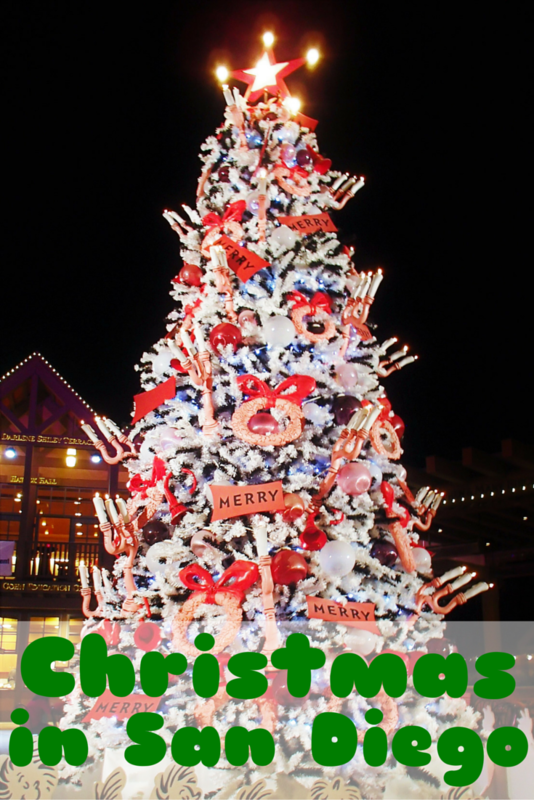 During the Celebration of Lights the Christmas tree will have a musical display. 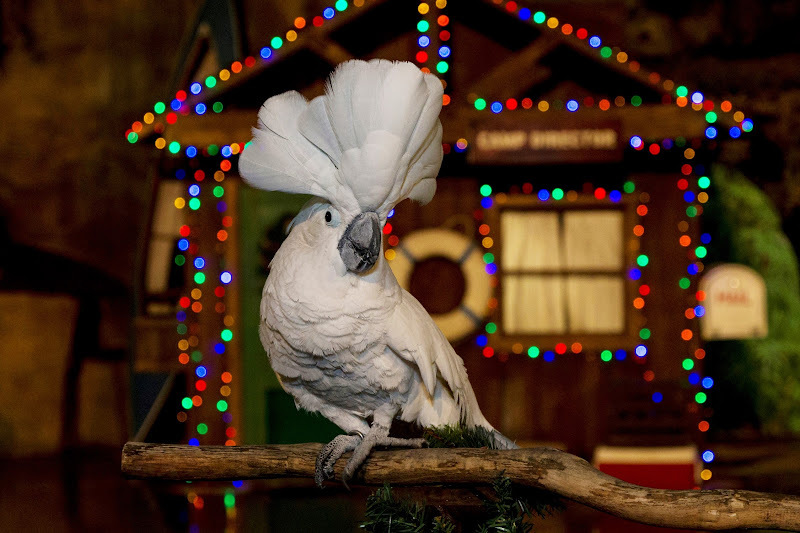 Entertainment options include Dr. Zoolittle presenting The Night Before Christmas, the Alley Cats musical show Jungle Bell Rock, Santa in an igloo at Discovery Outpost, Santa’s elves on a trampoline in the Urban Jungle, and the Jingle Brass band. Each night of Jungle Bells one of the animals in the Polar Bear Plunge will receive a holiday gift. The San Diego Zoo Jungle Bells celebration runs December 12, 2015, through January 3, 2016, and is included with paid admission. During Jungle Bells, the zoo stays open late so guests can see the animals after dark. For more information, visit the San Diego Zoo’s website. Disclosure: We received press passes to last year's Holiday Wonderland at Petco Park. As always, all opinions are my own.